My wife and I went down to Ocean City, Maryland, the past two holiday seasons for a holiday retreat. When most think of going to the beach in the winter, the thought that comes to their mind is, it’s too cold. It’s true, but the advantages of going to Ocean City are in your favor. It’s not that crowded, you can pretty much park anywhere you want, and you can enjoy the view and sounds of the ocean. 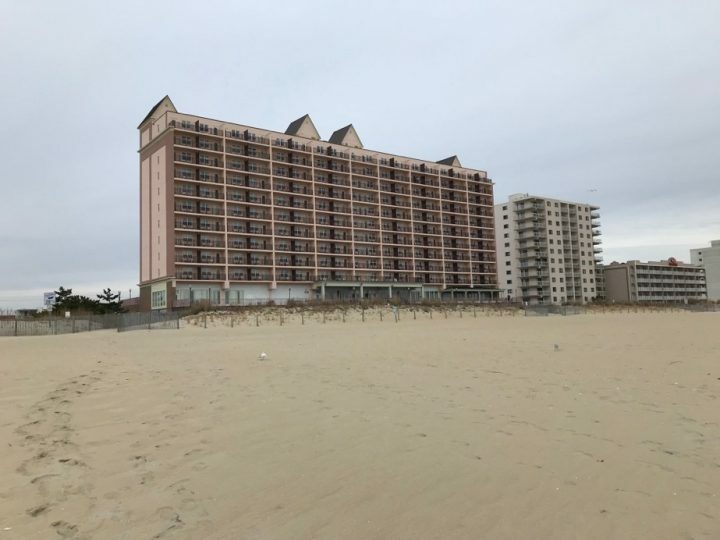 Oceanside of Dunes Manor on Baltimore Avenue in Ocean City, MD. We stayed at the Dunes Manor on Baltimore Avenue near the board walk. It was an interesting place to stay because the hotel had so much history and we had complementary tea and biscuits. The room we stayed at had an ocean view, the view in the morning worth waking up and looking at the sunrise from the balcony of our room. The hotel was very nice, which included a bar to enjoy the view of the ocean and an area to chat with other guests. I highly recommend staying here. Even during the holiday season, there are still great places to dine in Ocean City. The favorite restaurant that my wife and I love to dine at when we are there is Longboard Cafe. The atmosphere in that place is laid back and relaxing, and my wife always orders the crab BLT tacos when we visit Longboard. For dinner I recommend dining at a couple places. My first recommendation is Ocean City Brewing Company. Their menu was pretty good, I highly recommend getting the crabby tater tots and the brews are pretty decent as well. It’s a fun place to hang out and catch a game or play some indoor bean bag toss. My second choice for a causal dinner is Ropewalk. The food there is excellent, I recommend getting the mac-n-cheese and some of the seafood dishes. The best part about visiting Ropewalk is the view of the bay. It’s a good site to view or take a family photo. Front of Seacrets Distilling company on 49th street. Looking for something to explore or visit? 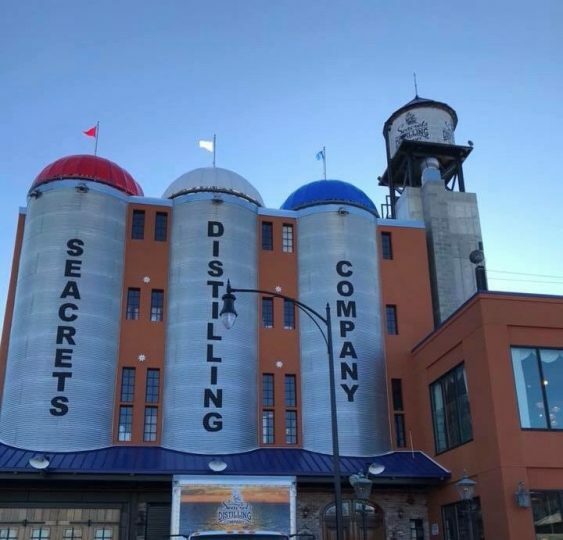 Try the Seacrets distillery tour in the Seacrets complex. It was very interesting to see how Seacrets distills and produces their product, but the best part of the tour was the tasting and the tasting room. The tasting room was a prohibition theme, and certainly worth the money. I highly recommend taking the tour if you’re in Ocean City, and check out the Seacrets complex, it’s a great place to hang out with friends or family. If you need a quick getaway and really enjoy sounds of the ocean in the winter, then I recommend going to Ocean City, Maryland. The temperatures maybe freezing sometimes, but it is nice to the see the ocean before the year ends and the new one ushers in. It’s nice to get a good hotel for half the price of the summer season. What better way to enjoy the rest of the holiday season, then being at the beach? So next holiday season take a journey down to Ocean City, Maryland, I highly recommend it. Are Freshman Driving Privileges Necessary?